I am on vacation until mid July see you on three weeks! Innovative chemistries or hardware modifications for film growth and surface treatments. This includes the ALD of metals and the growth of multi-phase coatings; issues related to the chemical etching of some challenging materials (e.g. Pt) as well as to other general limitations such as side wall damage and surface roughness. In situ monitoring approaches, such as those involving e.g. infrared spectroscopy, mass-spectrometry, ellipsometry, X-ray techniques, gravimetry and optical characterization. Diagnostic techniques in real time are required for the understanding of surface chemistries and material growth, providing information at the molecular level and nanometric scale; and assessing process kinetics. Both are essential inputs for process modeling and upscaling. Theoretical approaches, such as DFT modeling, to improve the understanding of deposition and etch processes. Integrating scientific and engineering developments to address novel applications involving the deposition of 2D materials (MX2, graphene, superlattices,..), 3D structures (conformal deposition, filling, nucleation, deposition of nano-sized powder…) and the growth of multi-component coatings. Accordng to recently updated information on ALD NanoSolutions web : ALD NanoSolutions is the first company to carry out atomic layer deposition on particle surfaces and on polymer surfaces (also includes non-particle surfaces). 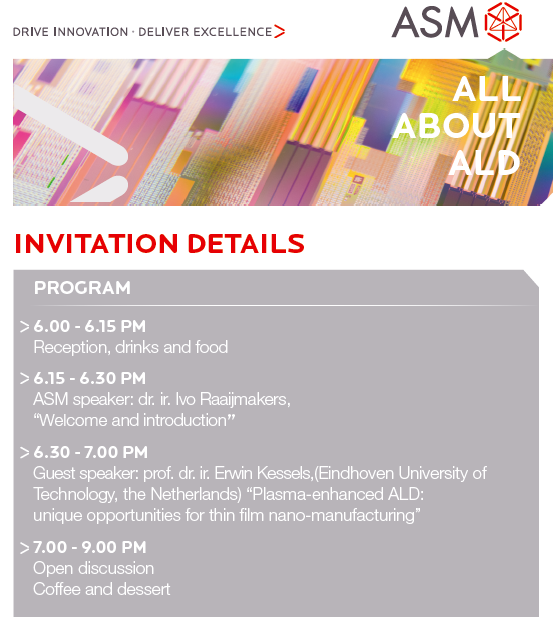 For those of you attending the AVS ALD 2014 conference in Kyoto Japan : INVITATION ASM WELCOMES YOU TUESDAY JUNE 17, 2014 - ALL ABOUT ALD In this technology seminar, ASM and a distinguished guest speaker will address challenges and opportunities for plasma enhanced ALD processes and equipment to manufacture next generations of micro-electronic devices. 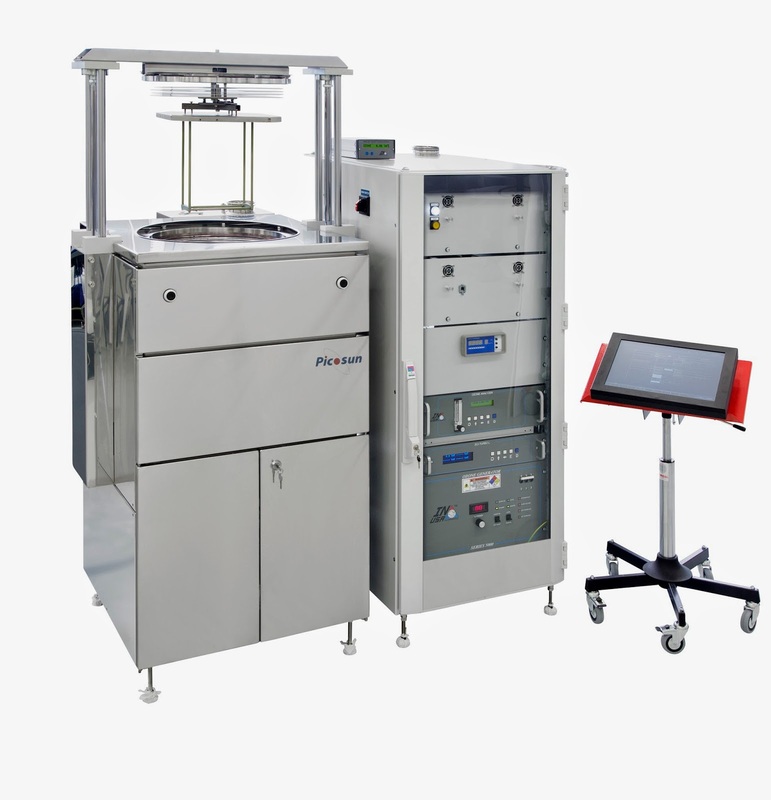 Picosun reports today: 16th June, 2014 – Picosun Oy, the leading manufacturer of high quality Atomic Layer Deposition (ALD) equipment for global industries, reports several new orders for it­s success product for High Volume Manufacturing, the PICOSUN™ P-300B batch ALD tool. Multiple industrial production customers around the world, representing fields such as MEMS (MicroElectroMechanical Systems), LEDs (Light-Emitting Diodes), and passivation of large batches of machined metal parts, have placed repeated orders for P-300B ALD systems. Some of the systems also come equipped with various automatic loading options available from Picosun, such as linear loading or batch handling with industrial robotics. PICOSUN™ P-series Atomic Layer Deposition (ALD) systems set a new standard for ALD production tools, providing extremely fast process times and very low cost of ownership with the patented design solely based on the requirements of the ALD method. The reactor design is optimized for efficient processing of batches of 4-18" (100-450 mm) or 156 mm x 156 mm solar wafers and glass substrates up to 460 mm x 640 mm with high throughput that fulfills HVM requirements for both for electronics manufacturing and solar applications. PICOSUN™ P-series ALD tools are reliable, have a small footprint and are fully compatible with the most stringent clean room processing requirements. Operation and maintenance of the PICOSUN™ P-series ALD tools is fast and simple. Excellent particle performance and short cycle times can be reached thanks to the unique batch chamber design. Performance of the ALD system can be maximized with automated loading systems. Facts about the PICOSUN™ P-300B ALD can be found here. P-300B ALD system is well-known for its world leading process quality regarding particle levels down to 0 – 2 added particles per wafer and lower than 1 % film non-uniformity in a batch for several processes. Easy and fast maintenance, as high as 99 % uptime, and 100 % yield have been reported by customers. “We are proud that our newest generation of batch ALD tools have provided for industrial breakthrough of ALD to several completely new application areas, enabling Picosun’s frontline position in spearheading new technologies and adding value to existing ones with today’s leading thin film processing solutions. Our dedication and unparalleled, cumulative know-how in ALD has again manifested itself in the repeated demand for our production ALD technology from various prominent global industries,” summarizes Juhana Kostamo, Managing Director of Picosun. History of Atomic Layer Deposition - Tutorial lecture given at the 14th International Conference on Atomic Layer Deposition in Kyoto, June 15, 2014. Webhosting for The Virtual Project on the History of ALD - VPHA - through BALD Engineering. The Virtual Project on the History of ALD is a worldwide collaborative effort, carried out in atmosphere of openness, respect and trust - anyone welcome to attend! Please check for future updates! Suntola presentation at Baltic ALD: "40 Years of ALD in Finland - from ideas to global industry"
Suntola presentation at AVS-ALD 2004: "30 Years of ALD"
Beneq is on the move! As of Thursday, June 12, 2014, Beneq’s facilities in Vantaa will join Lumineq Displays on its premises in Espoo, Finland. Now for the first time, Beneq Thin Film Equipment and Beneq Lumineq Displays will be under the same roof, enabling the two complementary entities to take greater advantage from their synergies. The Espoo plant, the biggest concentration of ALD equipment in the world, will be the place that combines the past, present and future of ALD. “We bring you our heritage from 30 years of continuous thin film production. 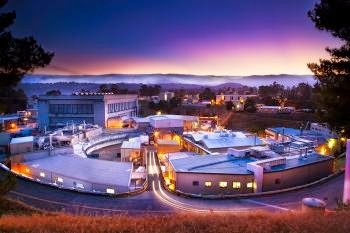 Today, we are the world’s largest atomic layer deposition (ALD) stronghold with an offering that satisfies the most demanding of needs, be that research, industry or job coating. For the future, we will continue to pioneer the future of ALD for use in research, product development and industrial production,” says Sampo Ahonen, CEO, Beneq. 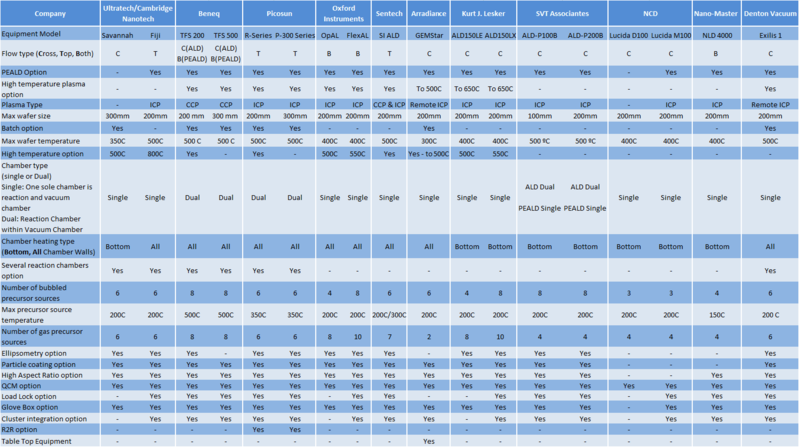 ALD Pulse reports that "This chart will be subject to updates according to audience and each companies' feedback and input, more companies and criteria may be added in the future." WODIM 2014, the 18th Workshop on Dielectrics in Microelectronics, 9-11 June 2014 in Kinsale Cork Ireland. Coming up next week - The 18th Workshop on Dielectrics in Microelectronics, which takes place from 9-11 June 2014 in Kinsale Co Cork Ireland. This event is hosted by Tyndall National Institute, UCC, Cork, and celebrates the 10th anniversary of the last time the workshop was held in Ireland. The main objective of the workshop is to bring together specialists who work in the field of dielectrics and all aspects of their application in the field of micro and nanoelectronics. The forum is intended to provide an overview of the state of the art in this significant field, and to promote a relatively informal atmosphere for the discussion of the latest research results, where contributions from students are particularly encouraged. The workshop deals with a range of issues in the field of advanced and new dielectrics, such as: growth and deposition, modelling and simulation, physical and electrical properties, reliability and dielectric applications. Kinsale, Co Cork, Ireland, in one of the most beautiful coastal towns in Ireland. 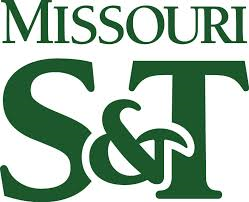 Missouri S&T is synthesizing multi-element ENPs for Single Particle ICPMS references using ALD. Missouri University of Science and Technology and Perklin Elmer reports : The growing use of nanoparticles in consumer projects has raised concerns about their adverse effects on human health and the environment. A new technology being tested at Missouri University of Science and Technology could improve the field of study by giving researchers a tool to quickly measure a wide range of characteristics and detect trace levels of nanoparticles. The technology, Single Particle (SP) – Inductively Coupled Plasma (ICP) – Mass Spectrometry (MS), addresses one of the National Nanotechnology Initiative’s most urgent priorities, tracking the fate of engineered nanoparticles. The NNI was established by the U.S. government for the research and development of nanoscale projects. Dr. Xinhua Liang, assistant professor of chemical and biochemical engineering at Missouri S&T, another member of the research team, is synthesizing multi-element ENPs as calibration and reference material using advanced atomic layer deposition (ALD) technology. ALD is best known for its ability to deposit high-quality thin films of materials based on alternating pulses of chemical vapors that react with surfaces. Liang is using the technology to deposit metal oxide films on the ENPs. "In situ characterization of ALD processes and study of reaction mechanisms for high-k metal oxide formation" is a fresh doctoral thesis to be defended 6th of June 2014 in Helsinki Finland by Mr Yoann Tomczak at University of Helsinki, Faculty of Science, Department of Chemistry, Laboratory of Inorganic Chemistry. To learn more on in-situ studies by QCM and QMS I recommend to read the doctoral thesis by Antti Rahtu that can be downloaded here. Precursors, processes and materials studied in this thesis. Atomic Layer Deposition (ALD) is a thin film deposition method allowing the growth of highly conformal films with atomic level thickness and composition precision. For most of the ALD processes developed, the reaction mechanisms occurring at each step of the deposition remain unclear. Learning more about these reactions would help to control and optimize the existing growth processes and develop new ones more quickly. For that purpose, in situ methods such as quartz crystal microbalance (QCM) and quadrupole mass spectrometer (QMS) are used. These techniques present numerous advantages because they allow monitoring the thin film growth mechanisms directly during the process. Additionally, they do not require separate experiments or large amounts of precursors to test the efficiency of new processes and could be very effective means to monitor industrial processes in real time. This thesis explores the most common in situ analytical methods used to study ALD processes. A review on the ALD metal precursors possessing ligands with nitrogen bonded to the metal center and their reactivity is provided. The results section reports the reaction mechanisms of ALD processes for the deposition of Nb2O5, Ta2O5, Li2SiO3, TiO2 and ZrO2. All the processes studied are using metal precursors with nitrogen bonded ligands and ozone or water for the deposition of high-k and other oxide films. Stanford University present a ALD chamber for in-situ x-ray diffraction and scattering installed at SLAC National Accelerator Laboratory, Stanford Synchrotron Radiation Lightsource. The in-situ ALD chamber is designed for studying the structural properties of thin films during growth by high resolution XRD, GIXRD, and GISAXS. The ability to monitor the growth of an ALD material from nucleation to the formation of continuous films has been shown, and the precision to measure changes to the structure following single half-cycles has been demonstrated. According to the researchers, the design can also be adapted x-ray reflectivity (XRR) and x-ray absorption and fluorescence spectroscopy (XAFS). For all details please go ahead and access the all free content of the publication below. Abstract: The crystal structure of thin films grown by atomic layer deposition (ALD) will determine important performance properties such as conductivity, breakdown voltage, and catalytic activity. We report the design of an atomic layer deposition chamber for in situ x-ray analysis that can be used to monitor changes to the crystal structural during ALD. The application of the chamber is demonstrated for Pt ALD on amorphous SiO2 and SrTiO3 (001) using synchrotron-based high resolution x-ray diffraction, grazing incidence x-ray diffraction, and grazing incidence small angle scattering. Atomic layer deposition (ALD) with its growth control and unique properties can be used to grow an increasing variety of films in complex structures. As MEMS and NEMS applications are becoming more advanced, this webinar will discuss important aspect of ALD and how they can be applied to MEMS. Mechanical properties that are important for MEMS, such as stress, will be discussed for thermal and plasma ALD. Several examples from the literature of how ALD films can be used in MEMS applications will be demonstrated and discussed. Dr. 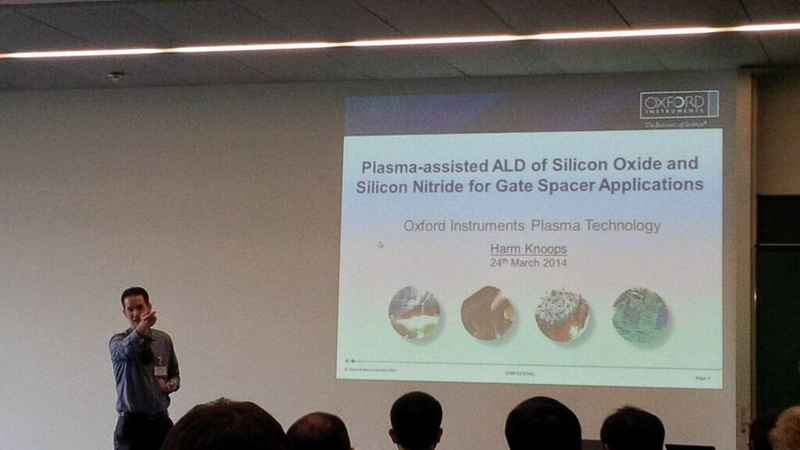 Harm Knoops presenting at the High-k workshop organized by NaMLab in Dresden, March 2014. Dr. Harm Knoops, Technical Sales Specialist (ALD) at Oxford Instrument Plasma Technology. Before his current position, Harm investigated the fundamentals and applications of atomic layer deposition (ALD) at the Eindhoven University of Technology.